I am a mental health nurse and educator who has clocked up 31 years in the NHS. I am passionate about person centred care and supporting clinicians to develop their practice. I love teaching especially motivational interviewing, other clinical skills and supervision. I am interested in the relationships we build when teaching others and in the relationships that co-teachers have. I have always wanted to write, but have only more recently had the courage to start writing for publication and beginning a blog is part of this process. It is somewhat scary. I am also an animal person, having horses, cats and snakes in my life. I am interested in the impact, both positive and not so positive that animals can make, on mental health. For 21 years I have been an equine welfare volunteer for a large UK horse sanctuary and have been able to use my mental health skills in this role. I believe strongly that animal welfare workers should understand mental capacity and that mental health workers need to have a working knowledge of animal welfare legislation. I am a founding member of a writing group of colleagues in the mental health trust for whom I work. We meet very early in the morning, consume strong coffee and support each other thorough enthusiasm, humour and goal setting. 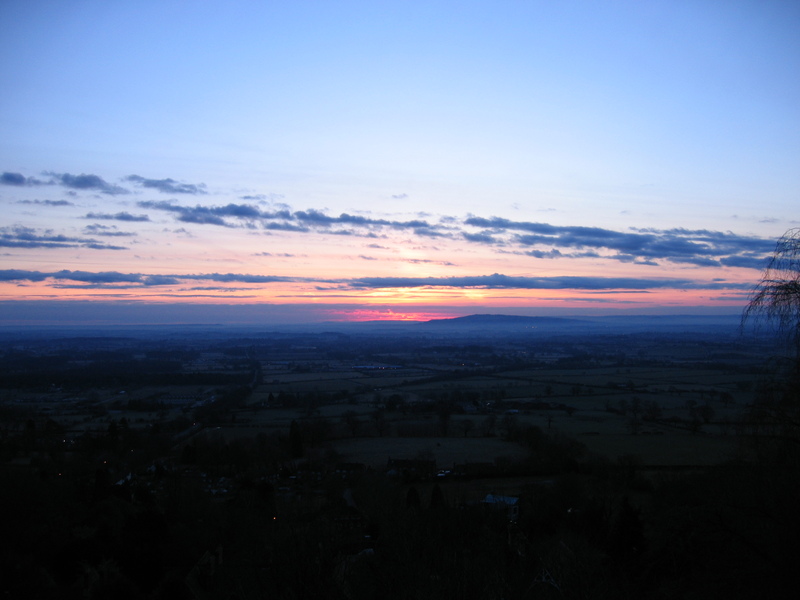 Most of my writing is done from the side of the Malvern Hills, looking out over the Severn Valley. Love the idea of a writing group. My ideal therapy! Keep going with your blog – don’t get disheartened if you have bum weeks with few visitors. Maintain a distinctive voice and have definite things to say – not waffle. I started my own blog six months ago, but only now is it really starting to take off. Twitter certainly helps. Thank you, really helpful comments. The idea for a writing group came from the book ‘How to Write a Lot’. I recommend it. Thanks. Will look out for it.